The fourth-century Cappadocian Fathers (Basil of Caesarea, his brother Gregory of Nyssa, and their friend Gregory of Nazianzus) are famous primarily for their contributions to Trinitarian theology. Scholars have also been interested in the Cappadocians' experiments in communal asceticism, which had a lasting impact on Christian theology and monastic vocation. Vasiliki Limberis has discovered a hitherto untold element in the history of these seminal figures. Simply stated, for the Cappadocians all aspects of Christian life were best communicated, understood, and indeed lived, through the prism of martyr piety. Limberis shows that the cult of the martyrs was absolutely central to the formation of Christian life for them and the laity. The local martyr cults were so powerful that the Cappadocians promoted their own kin as martyrs. This ensured that their families, soon after their deaths, would be imitated by the local people, and in future generations they would be honored as saints by all. Limberis documents the rich variety of ways the Cappodocians made use of the martyrs. Of particular interest are the complex rituals of the panegyris, a yearly celebration that honored the martyrs, creating social ties that spanned class barriers. Building projects also honored the martyrs, housed their loved ones, and created sacred space in their communities. 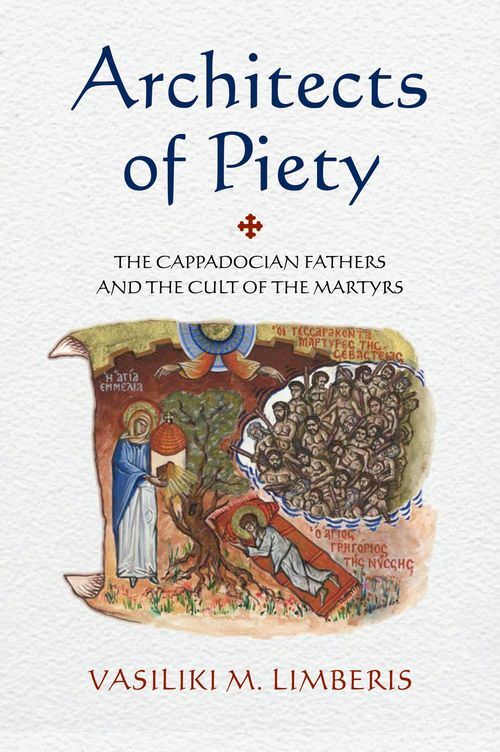 Limberis calls attention to the pivotal roles played by the mothers and sisters of the Cappadocians in promoting martyr piety and examines the importance in their lives of material vehicles of sanctity such as eulogia breads and holy oil, and practices such as fasting, vigils, vows and prayers. The Cappadocians were of the generation that bridged the Church of the martyrs and the Church triumphant of the Roman state. This book shows how they reshaped martyr piety to suit the needs of this changing landscape, and made it the basis of a new understanding of Christian identity.